One of my absolute most favorite things about Luis playing in the MLS as opposed to Germany is the breaks he gets in the middle of the season. Twice now he has had a full week without a game. Both times, the team gave the guys several days off, and let them know well in advance, which means we could actually plan and take a trip somewhere! In Germany, it was rare to ever get two days off, or to get advanced notice to plan to go anywhere. One of the most common questions I got/still get about our time over there was whether we traveled a lot or not. We did travel some, but funny enough, most of my European traveling took place when I wasn't living there. Luis's schedule just didn't afford for it, and whenever we did have a long break, we flew back to the States because we were desperate for our families, the comforts of home and Chipotle. Don't get me wrong, we did get to visit some pretty great places. We certainly didn't not travel, just not as much as we would have liked. 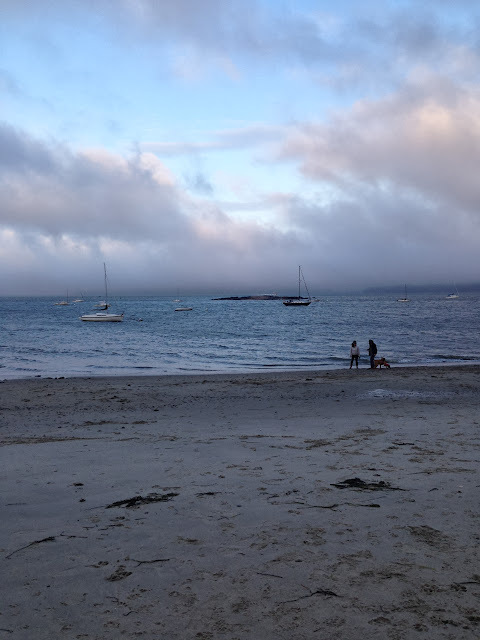 This last break that we had, we drove up to Portland, Maine. 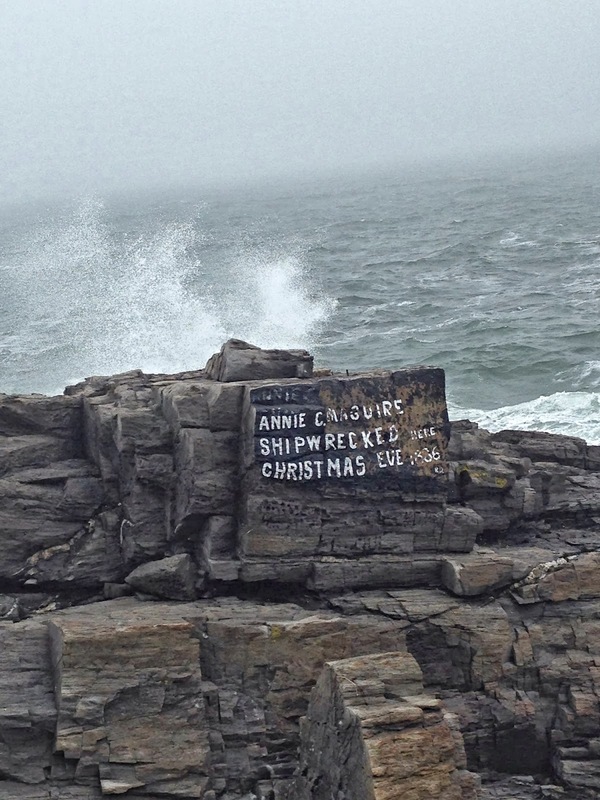 Maine has been on our list of places we want to go for quite some time now. 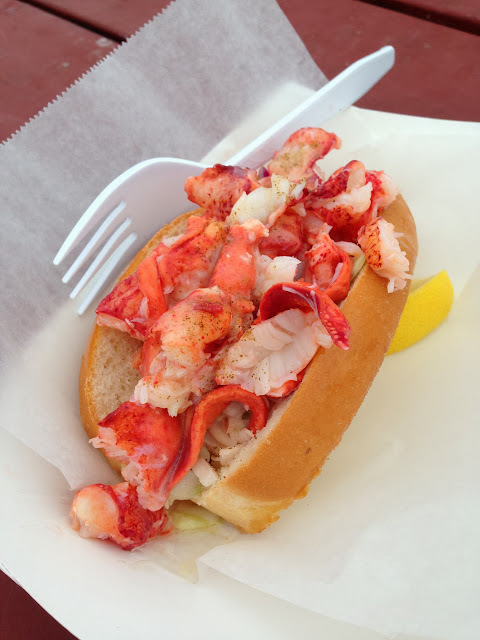 If we're being totally honest, Maine made the list mainly (no pun intended...okay, maybe a little) for the appeal of eating fresh lobster 24/7. Luis and I sort of love lobster. 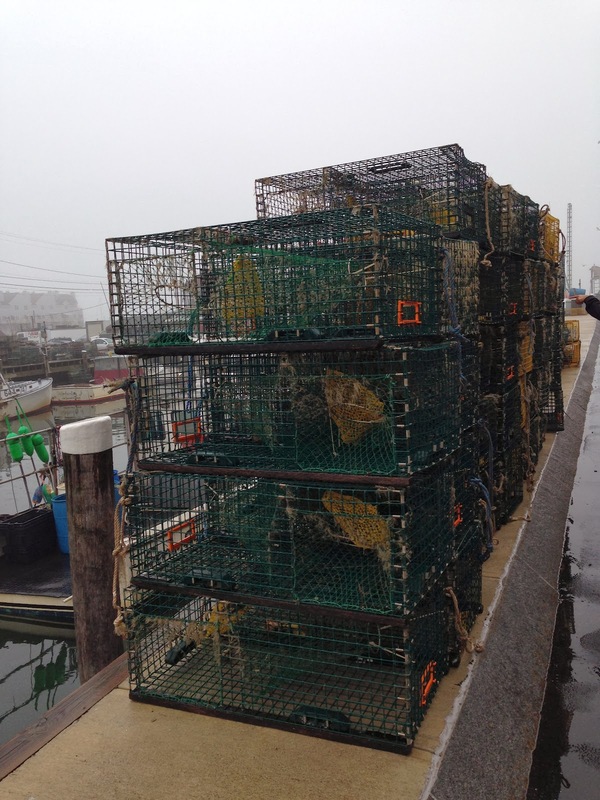 By sort of love lobster, I mean we loooooove lobstah, as we learned to say it up there. We probably wouldn't have ever actually made it up to Maine if it weren't for our friends moving up there this past year. You know those places where you always say you're going to go one day but never actually do? That probably would have been Maine for us if Lydia and Michael hadn't extended the invitation for us to visit. I am so thankful they were willing to host us and our munchkin because, had Maine stayed on our "We want to go there but most likely never will" list, we would have missed out on an incredible experience. Not to mention a whole lot of delicious lobstah! The weather the first day was chilly and rainy, which I actually loved because it was exactly how I pictured Maine to be. ...like there are secrets held within its depths and stories of shipwrecked sailors longing to be told. As evidenced by the lack of picture for the final "L", we only covered the first two. We made up for skipping out on L.L. Bean though by consuming more lobster. 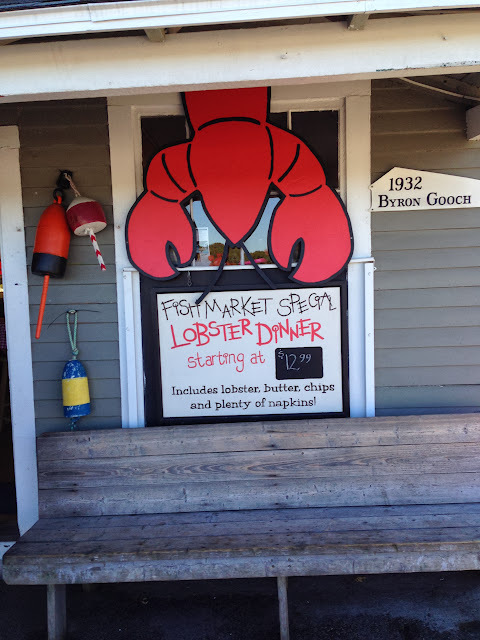 Are you getting the sense that we enjoyed eating lobster while we were there? 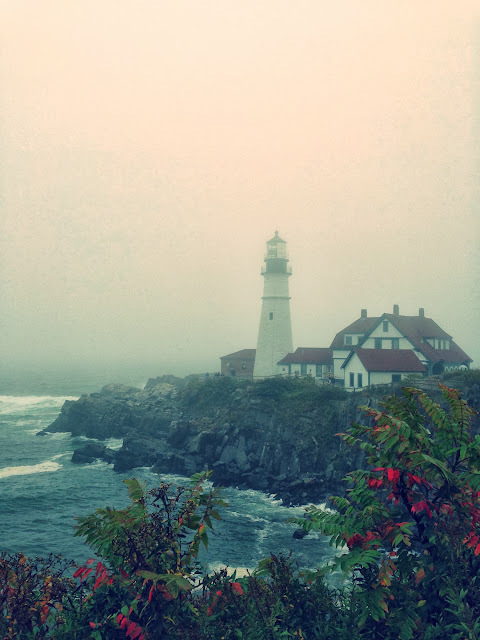 Portland is the largest city in Maine with a population of just over 66,000. Despite the nearly half a million residents in the greater metropolitan area, Portland maintains all the charm of a small town. You get the sense that people know and recognize one another there. The city's emphasis on "staying local" fosters an environment in which cute cafes, unique restaurants and quaint shops can develop and thrive. The city boasts a diverse foodie culture, rich with "chef-owned, small, single-operator places". 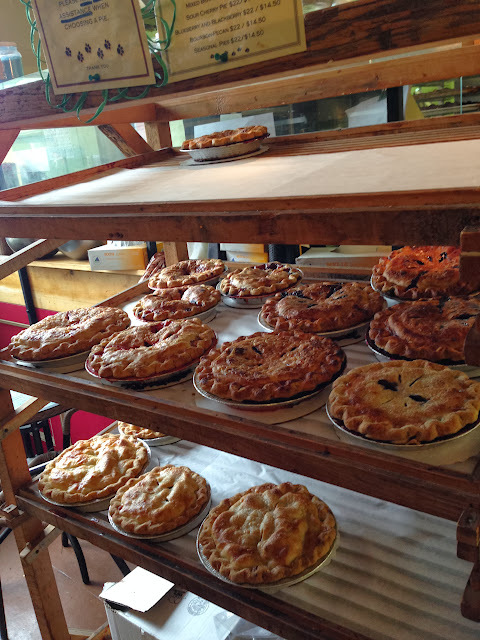 If our friends hadn't have been so in-the-know about the best places to eat, we probably would have checked out one of these culinary walking tours. They seem like a great way to experience all the different tastes Portland has to offer. One of my favorite parts of our trip was getting to sample the local coffee scene. The foggy, wet weather of our first day made me want to warm my hands with a cup of coffee and sip it all day long. 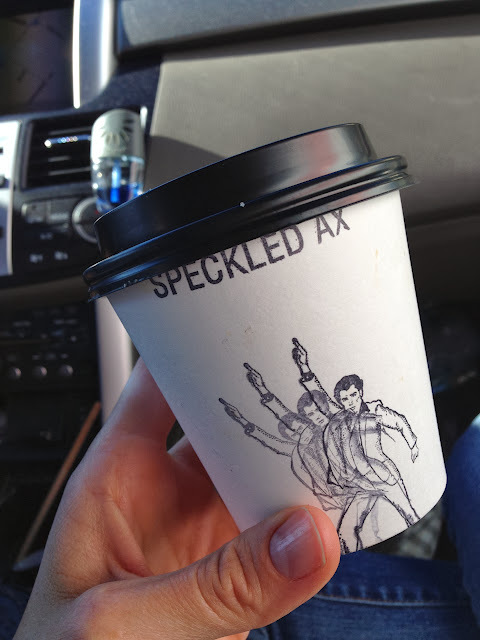 The Wood roasted coffee at Speckled Ax was perfect with its smooth caramel flavor. They are right on trend with their "pour over" brewing system, which requires a little patience but is well worth the wait. It was also good business on their part, in my case at least, because as I was waiting I had time to look over their menu (I hadn't looked at first because I knew I wanted to try the wood roasted coffee per Lydia's recommendation) and at the bottom it said "Special: maple latte". Having seen this at another coffee shop the day before I was intrigued and decided to order one of those as well. It was the last day of vacation, hence the "When In Rome" splurge. I am soooo glad I went with both. The latte was the perfect balance of creamy milk, rich espresso and sweet maple. I was surprised how well the coffee and maple flavors complemented one another. Between the latte and the cup of coffee, I was one satisfied (and well caffeinated) lady! 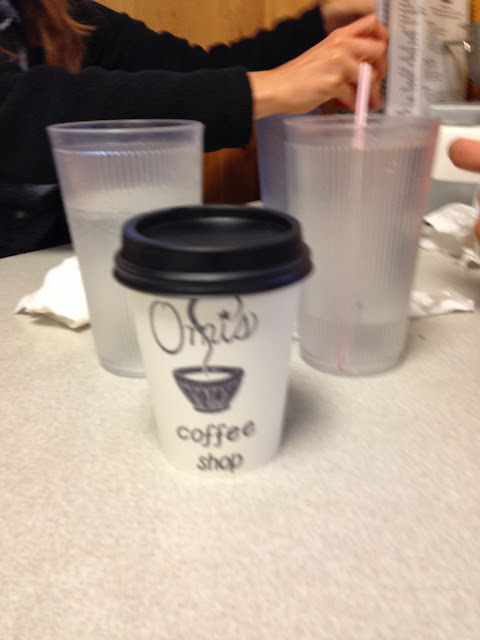 Another coffee stop (on a different day) was Omi's, which was just around the corner from where our friends lived. If I lived in Portland, all my money would go to Omi who would bless me with her pumpkin spice latte all Fall long. It's made with REAL pumpkin people! REAL pumpkin. The picture is blurry because I couldn't let this latte depart from my lips long enough to focus the camera. If this latte weren't so darn delicious I would be mad at Omi for ruining (not totally but just a little) Starbucks' PSL for me. I can't abandon the chain's staple Fall beverage, because, let's be honest, Starbucks' PSL, even with its orangish color, is still tasty and most of all, convenient. However, each sip from here on out will forever pale in comparison to the magic of this little coffee shop's homemade creation. They have inspired me to hunt down a REAL pumpkin PSL in the city...stay tuned. Another cute little joint they introduced us to was Two Fat Cats Bakery. 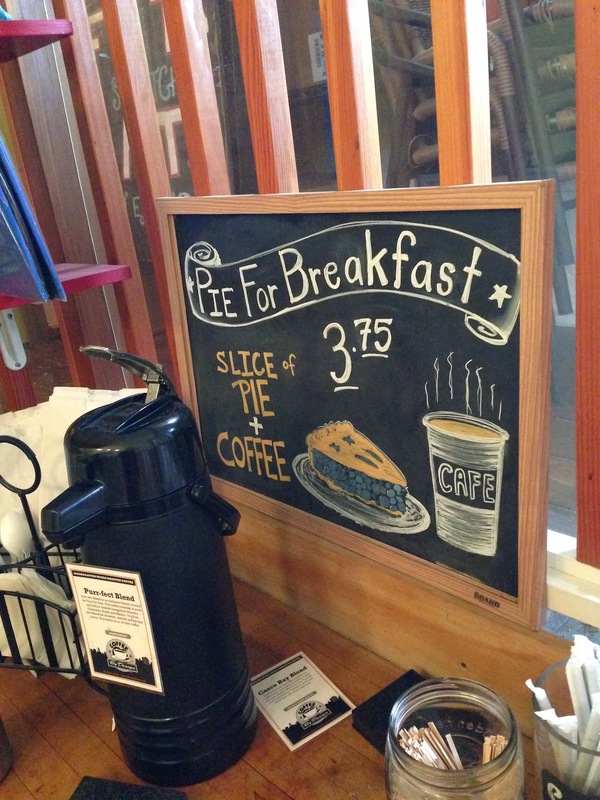 They had me at "Pie for Breakfast." While I wanted to take everything home with me, I showed some restraint and stuck with a pumpkin Whoopie Pie and a traditional Whoopie Pie (chocolate with marshmallow buttercream). Whoopie Pies are apparently the official treat of Maine, so of course we had to try them. 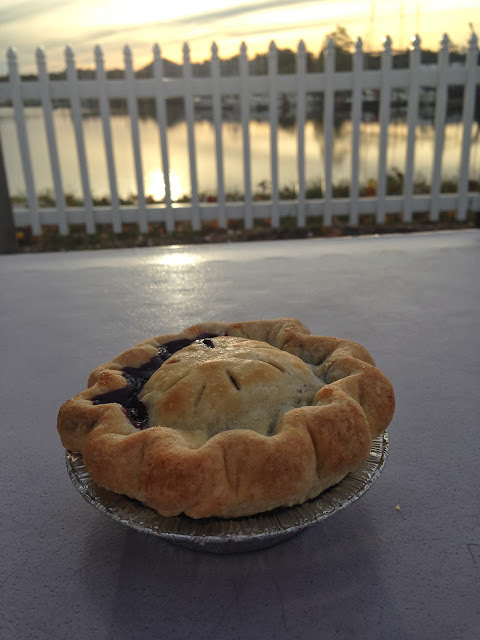 We also grabbed a mini blueberry pie, which is the state's official dessert, made with wild Maine blueberries, on our way out of town. The plan was to take a bite and save the rest for later but it was just too good to stop eating. Needless to say, it didn't survive the ride home. 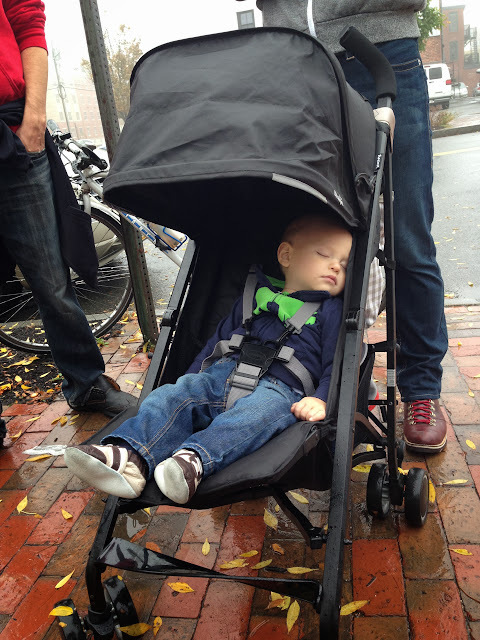 As usual, our little guy was a trooper. 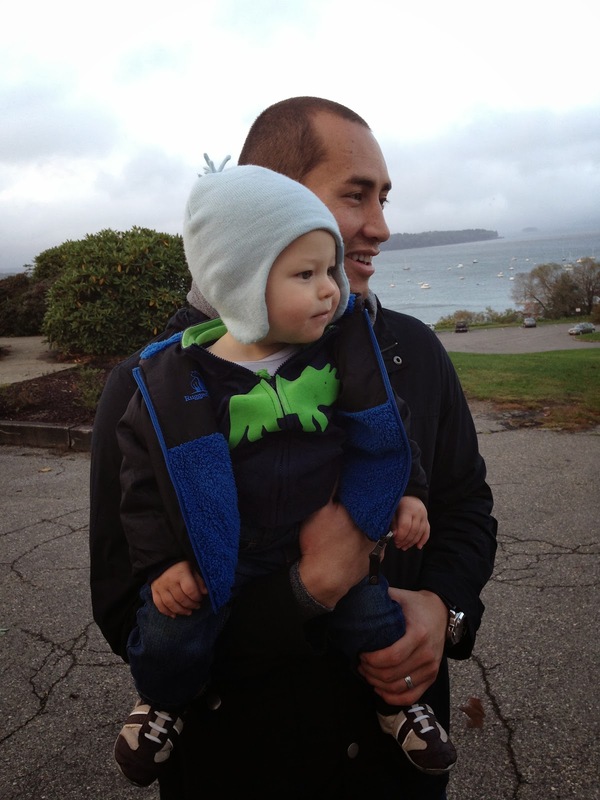 He is one well traveled baby! 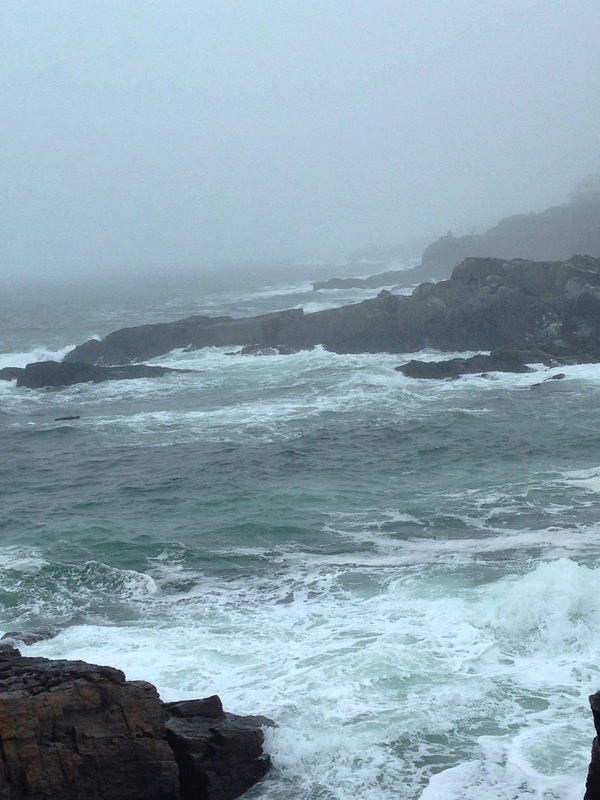 If you're looking for a relaxing get-away, I highly recommend sneaking up to Portland. The scenery is beautiful, the city is interesting and the food is great. It's the perfect escape over a long weekend. If you're in the NYC area, you will especially appreciate the calm and peacefulness of Portland, not to mention the amount of space you'll have between you and the person next to you! There are no honking cars, no crazy taxis and you can actually lift your head, breathe in fresh air, and look around while you walk without having to worry about bumping into anyone. It's an easy drive, and if you go during this time of year, you'll get to see all the beautiful fall colors along the way. Thank you Michael and Lydia for being such great hosts. We loved every minute of your beautiful town!